The world is filled with colors! So much so, in fact, that they are often overlooked. Colors, however, can convey a lot of meaning depending on the context in which we use them. Whether in fashion, product branding or in art, a certain color can radiate a surge of energy and emotion, while conveying a particular meaning or message to those viewing it. There may have been times when you found a particular color alluring, in which case, the color may be representing your mood in that moment. However, if you remain attracted to a single color for a long period of time, then this could be an indication that that color reflects a portion of your personality. The idea that colors, especially our favorite colors, are somehow linked to our personalities is explored in Color Psychology. It is a relatively new field which is closely related to both chromotherapy (color therapy) and phototherapy (light therapy). 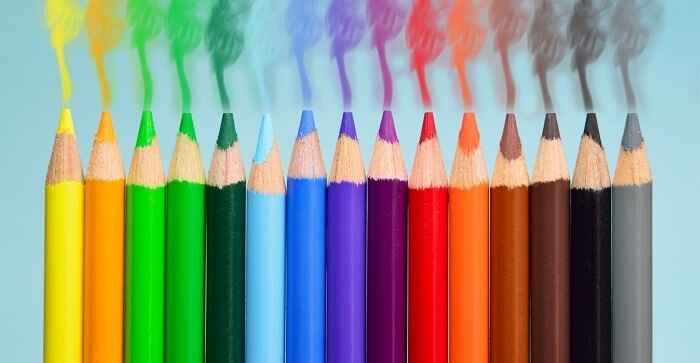 Color psychology has seen a recent surge in research. These have focused on how our perception of and reaction to colors can shed some light on our personality traits and on the choices we make. For instance, researchers have looked at how the color of medication affects how effective patients think it will be. Other interesting studies have analyzed which colors have a proven track record of increasing image distribution via social media. One important aspect of color psychology which we must always bear in mind, is that any analysis of a person's personality based on their favorite color (or on which colors they like or dislike) must itself be colored by some basic knowledge about that person. Factors such as age, gender, past experiences and the culture we grew up in, for instance, must all be taken into consideration. For example, it is often highlighted that whereas in Western cultures brides wear white as a sign of innocence and purity, in Eastern cultures white is associated with death and mourning. Brides in those regions would more likely select outfits in a brilliant red - a very daring choice by Western standards! The psychology of color has been used in marketing for decades. Businesses have routinely based their choice of brand logo colors or colors they use in advertising on our perception of color. They tend to rely on studies which look at how our preference for and response to a particular color can be used as a way to predict our reactions in certain situations. In general, we tend to associate shades of blue, green and purple with being cool and inviting. These colors can convey a sense of professionalism and help those viewing them to feel more at ease with whatever the color is helping to depict. On the other hand, shades of warmer colors like red, orange and yellow, suggest creativity and are often associated with high energy and intense emotions such as love and anger. The neutral shades (white, black, brown and gray) each carry their own broad meaning, with white typically referencing openness and black giving off a sense of power. Gray tones most often come across as smooth and modern, while brown is frequently associated with down-to-earth traits and a sense of security. Of note, is the point which is often made that varying shades of the same color can carry significantly different meanings. According to Incredible Art and College Match Up, which draws its information from multiple sources, what your favorite color is, can represent the following general information about your personality. Black: Many attribute the color black with darkness, but those who favor this color are most likely expressing their depression or are mourning over a loss. On a brighter note, black can also indicate power, creativity, elegance, and sexuality. White: Those that like white may be aware that the color signifies purity, birth, and innocence. However, liking the color can also mean that you are organized, independent, and logical. Red: As most people know, red is the color of intense desire and aggression, therefore, if your favorite color is red, you are someone who is driven, adventurous, and active. Purple: This color symbolizes mystery and spirituality as well as royalty. Purple dyes used to be so rare and expensive that only monarchs could afford to wear them. Those who fancy the color purple tend to reflect royalty as they require great emotional security, but are helpful to others. Pink: This is the color of romance. Anyone who uses pink to express themselves is showing the world that they believe in and want to be loved unconditionally or accepted by society. Orange: If orange is your favorite color, you are a social person with a vibrant personality as the color represents energy, warmth, and, enthusiasm. Blue: The most popular color is blue, which symbolizes peace and tranquility. If your favorite color is blue, you are a calm, trustworthy, and loyal person as you promote unity and security. Green: A more common symbol of jealousy and greed, the color green also signifies nature, good luck, fertility, and rebirth. Overall, if you prefer green, you are committed to others, but can be conceited or preoccupied with your reputation. Yellow: This is the color of joy, optimism, and friendship. Having yellow as your favorite color says that you enjoy sharing with others, but are eager to emphasize your individuality. As with pretty much everything else, each of us will have a color preference - no matter how subtle. There are some persons, however who might not be able to readily identify a favorite color. If this is the case with you, a quick look at the clothes in your closet or the color palette of your home should provide some clues. That's because it is not uncommon for someone to subconsciously surround themselves with items in the color they prefer the most. In fact, persons around you are probably already well aware of the color you are most drawn to! Can Your Favorite Color Change? Our personalities are dynamic and so a shift in color preference in not completely unheard of. Some persons will report liking a particular color above others in childhood but feeling more drawn to a different color in adulthood. It may be a case where it is not the color which changes for you but the shade you prefer it in. Is It Possible To Have Two or More Favorite Colors? It is possible to feel intensely drawn to more than one color. If you simply cannot decide on which is your absolute favorite color, then a good idea is to consider what each color says about personality and see how it all comes together for you. What About The Colors You Dislike? A dislike of certain colors is perfectly natural and just like our favorite colors, the colors we dislike may be dependent on factors such as past experiences. Examining why you dislike a particular color can help you to better understand your personality. How Can You Use Colors To Your Advantage? It is likely that you will use the colors which appeal to you most in a wide variety of ways. Surrounding yourself with colors which positively affect you is always a good idea. It is suggested, however, that in order to achieve balance, you should make a conscious effort trying to incorporate small samples of colors you are not so fond of in the color scheme of your life. Researchers generally agree on the existence of a connection between color and psychology- even if not fully understood at the present time. 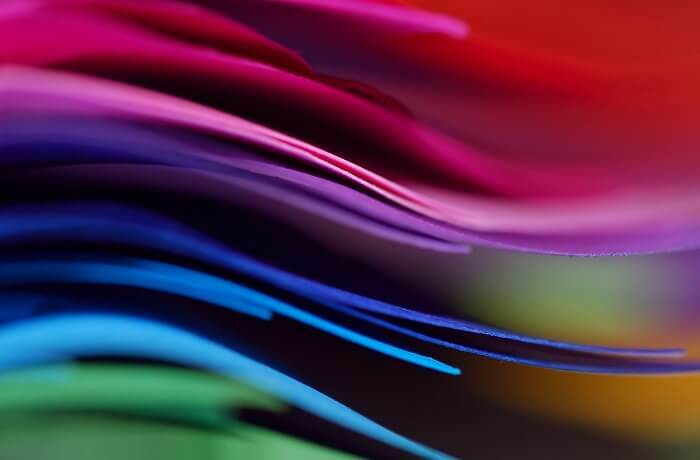 In reviewing research in the area of color psychology, professor of psychology at the University of Rochester, Andrew J. Elliot, points to "considerable promise in research on color and psychological functioning." Like many others, however, he cautions that while it is an intriguing concept, the study of the relationship between color and psychology is still in the developmental stages. If you wish to learn more about yourself and what your color preferences suggest about your character, you are encouraged to interact with certified therapists at BetterHelp. They will have access to the latest developments in the field and are more than qualified and willing to help you.